While the 2018 Lexus NX may be a well-liked SUV, the new Mercedes-Benz GLA offers a lower starting MSRP, greater fuel economy, standard driver assists, and many of the same luxuries for less. The NX does provide many strong features, including high horsepower and a comfortable interior, but the GLA still manages to deliver more. To prove this point, our team at Mercedes-Benz of Chicago put together a more detailed comparison of the Lexus NX vs. Mercedes-Benz GLA base models, the NX 300 and GLA 250. The NX 300 and GLA 250 come with a 2.0L turbo 4-cylinder engine with Direct Injection and an alloy block and cylinder head. The NX 300 generates 235 hp and 258 lb-ft of torque, and the GLA 250 generates 208 hp and 258 lb-ft of torque. The GLA 250 has a 7-speed dual-clutch transmission and, compared to the Lexus NX with its 6-speed automatic transmission, provides a much smoother ride. The NX 300 earns a 22 mpg city/28 mpg highway rating, but the GLA 250 perseveres with a notably higher mpg rating of 24 mpg city/33 mpg highway. The 2018 Lexus NX 300 offers a wide selection of luxury and technological features, including a central display with a controller, an 8-speaker sound system, dual-zone automatic climate control, optional navigation, optional leather upholstery, and optional genuine wood trim. 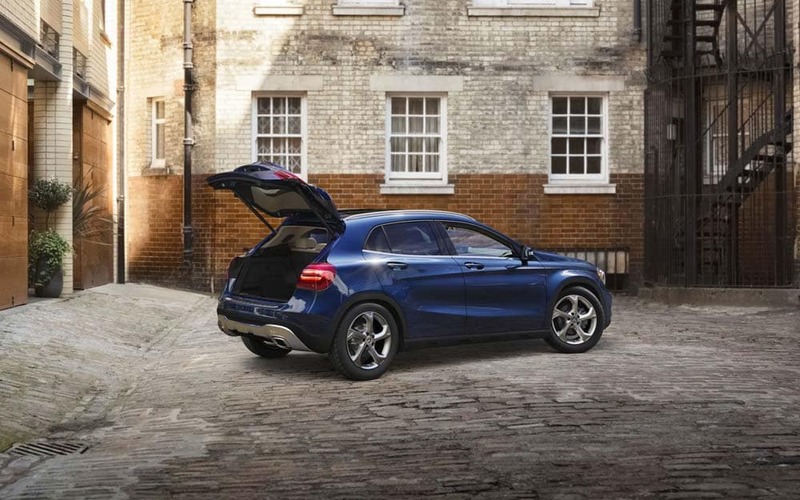 For more than $2,000 less, the 2019 Mercedes-Benz GLA 250 SUV provides many of the same standard and optional features. The GLA 250 also has an optional sunroof, making drives down those Cook County roads more enjoyable when the weather is nice. For added peace of mind, the Mercedes-Benz GLA integrates driver assistance technologies that aren’t available as standard equipment on the Lexus NX 300. A few of these systems include ATTENTION ASSIST® (a driver attention monitor), memory-adjustable exterior mirrors, rain-sensing windshield wipers, and a Front Airbag Deactivation via Child Seat Detection System. Explore the 2019 GLA at Mercedes-Benz of Chicago! After comparing the Lexus vs. Mercedes-Benz specs and features, compare the GLA to other competitors, like the BMW X1. Then, browse our inventory of new and certified pre-owned GLA models, and schedule a test drive at Mercedes-Benz of Chicago today!